Bicycling is a year-round activity in South Florida as cyclists can take to the road to enjoy the weather, exercise, or commute to work. However, with a greater exposure to vehicle drivers, bicyclists are more likely to become involved in an accident despite the fact that vehicle drivers are legally required to share the road with cyclists. The injuries from a bicycle accident can be serious or even fatal. If you are a cyclist who was injured by a negligent driver, contact bicycle accident attorney Justin Weinstein. You may be entitled to compensation for your medical expenses, lost wages, and mental anguish. For a free consultation, fill out our contact form or call 954-845-0505. 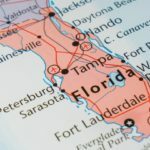 Based on the National Highway Traffic Safety Administration’s statistics on bicycle accidents, Florida is considered the most dangerous state for cyclists. The bicycle fatality rates were greatest in the Sunshine State with cyclists making up 5.1% of all traffic fatalities. According to the Florida Department of Highway Safety and Motor Vehicles, bicycle crashes, fatal and non-fatal, increased between 2014 and 2015. In 2015, more than 6,600 cyclists were injured in bicycle accidents. In 2015, the Centers for Disease Control & Prevention released their findings on bicycle fatalities between 1975 and 2012. 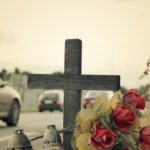 Florida not only had the highest cyclist mortality rate, it also had the 2nd lowest percent decrease during that time period, with cyclist fatalities only falling by 9.7%. However, in 2015, Broward County cycling accidents decreased by 4.5%. Despite the decrease, thousands of cyclists were still injured in motor vehicle wrecks. Another common type of bike accident is when a cyclist is “doored.” This means a driver or passenger opened the door in the cyclist’s path, causing the rider to crash into it. Head injuries occur most frequently in cycling accidents and account for 47% of all injuries and 60% of bicycle-related fatalities. Determining who is at fault after a bike accident can be difficult. A knowledgeable bike accident lawyer can help you determine if the driver was negligent or reckless behind the wheel, and if the cyclist contributed in any way to their injuries. Bicyclists in South Florida are allowed to ride on sidewalks, so long as it is not in a business district or on sidewalks with signs that prohibit riding on the sidewalk. Under Florida law, bicycles are treated just like other drivers, which means they must follow the same traffic rules as all drivers. Additionally, when passing a cyclist, drivers must provide a 3-foot buffer zone. Even if you contributed to your injuries, you may still be entitled to compensation from the driver. 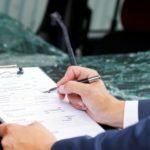 To hold the driver responsible for your injuries, you will need to take legal action with a trustworthy personal injury lawyer on your side. South Florida bicycle accident attorney Justin Weinstein can help build a strong claim in your favor so that you can obtain the compensation you deserve. Fill out our contact form to contact bike accident lawyer Justin Weinstein today.